Railways quickly became one of the largest employers in the United Kingdom, giving work not only to those who ran the trains, but also to a wide range of craftsmen and ancillary workers. Some railway employees were seamen. Others were horsemen, for railway companies operated some of the largest fleets of horse-drawn vehicles in the land. There were also many women workers, mainly behind the scenes, and these included telegraphists and clerks as well as those who worked in railway laundry and catering services. 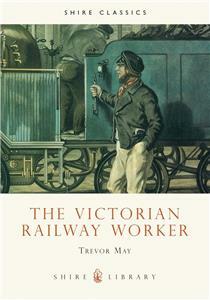 This book looks at those who ran the railways - as well as those who built them.